Compared to other purchases, toilets are long-term investments where you expect the least amount of hassle for your money. However, since they are not something you buy regularly, it can be a bit overwhelming. Fear not – go through this guide to find out about the best flushing toilet in the market today, and how you can get the best deal for you. How To Choose A Flushing Toilet? What Are The Benefits of Using Flushing Toilet? Flushing toilets can be of different kinds based on key features and form factors. These features include build type, size of the bowl, and flushing system. Toilets build type can be either one-piece or two-piece. For one piece toilets, the bowl and the tank combine to make a unibody. Two-piece ones, on the other hand, has a separate bowl and tank bolted together. Two-piece toilets are usually less expensive than their one-piece counterparts. Two types of bowls are in common use – round and elongated. Round ones are best suitable for small spaces, whereas elongated ones are the most commonplace. It utilizes pressurized air to force water and everything else out of the drainage pipe. Even though this is the most powerful flushing toilet, it can be quite noisy and expensive. The more common technology in use is the gravity flush that uses the weight and pressure of the water itself to do the flushing. It is relatively a new system where you can have two different types of flushing (full or partial) based on the waste. 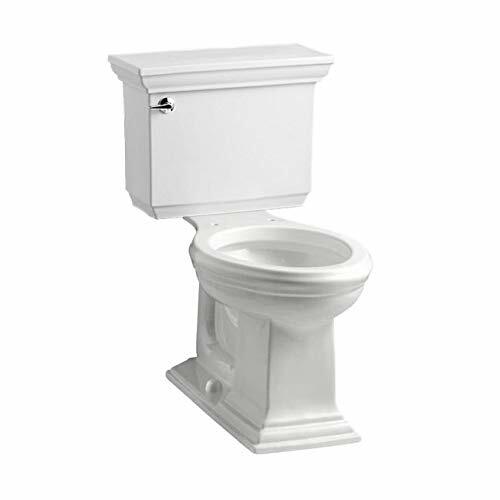 Among one-piece toilets, the 2847.128.222 Town Square FloWise RH Elongated One Piece Toilet from American Standard is a great pick. Its elongated design is pleasing to the eye, and it uses a water-efficient flushing system that uses only 1.28 gallons of water. Made out of vitreous china, it is not just a necessary appliance for your bathroom, but a modern accessory as well. KOHLER K-3817-0 considered by many users a game changer. It is elegant, easy to use with just the right height, and uses a strong, powerful flushing system to make the best use of just 1.28 gallons of water per flush. Do you want a pressure-assisted flush or a gravity flush? The former is loud and expensive but flushes more comprehensively and is considered the strongest flushing toilet, whereas gravity flush is quite but not so powerful. You can also opt for dual flush if you like. The toilet seat height can be a deal breaker if it is too high or too low for you. The best way to go forward is to pick an ADA-compliant model – they tend to fit all sizes. A new toilet is not just an appliance, but a piece of furniture as well. Make sure it is well suited to the color scheme and decor of your bathroom. Noise is an important side of buying a new toilet that is often overlooked. Particularly for bathrooms in a living room or dining room, pick a toilet that comes with little to no sound. Trapways are the pipes behind the toilet that carry the waste. Most people prefer a concealed trapway as opposed to an open one because they are easy to keep clean, but it more costly too. Keep your budget in mind when you are looking for a flushing toilet. For example, if you have a limited budget, it is better not to look for high-end features like touchless flushing or pre-heated seats. Before settling on a model, check whether that the toilet will fit where you want it. Measure the sizes – height, width, and front length to be sure. 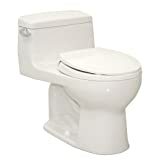 Look for high-efficiency flushing toilets, especially those that use 1.3 gallons or less for each flush. Not only will help you with your water bill, you might even get a tax rebate from your government! Be sure to check whether the model you picked supports your existing water and drainage connections. You wouldn’t want to spend in an expensive converter after buying a toilet, would you? Most flushing toilets come with water-efficient technology, using water between the range of a mere 1 gallon to 1.6 gallons compared to the traditional 3.5 to 7 gallons. This, in turn, results in lower water bills and conservation of the environment. Did you know that many states in the US and countries in the Europe offer tax rebates if you buy a water-efficient toilet? This is to encourage you to save water, and you get financial benefits too from your best flushing toilet! Toilets have become a big part of the modern bathrooms, both in terms of aesthetics and interior decor. A modern, sleek-looking toilet can enhance the overall look and feel great. Having a flushing toilet means more ways to get rid of your waste, and stay clean and fresh. Toto has been taking over the flushing toilet market by storm, and for good reason. Its is a one-piece toilet that comes in a very solid, yet stylish design. Its sleek look is complemented by a flushing system that uses only 1.28 gallons of water for each flush. Compared to the existing standard of 1.6 gallons per flush, this is quite the leap. For this reason, Toto lists this product as a High-Efficiency Toilet (HET). Furthermore, its patented SanaGloss technology helps keep the bowl clean and shining after each flush. At around 17 inches in height, this is a universal toilet perfectly suited for you. The Drake line has been one of Toto’s best-selling products for years because of their contemporary design. 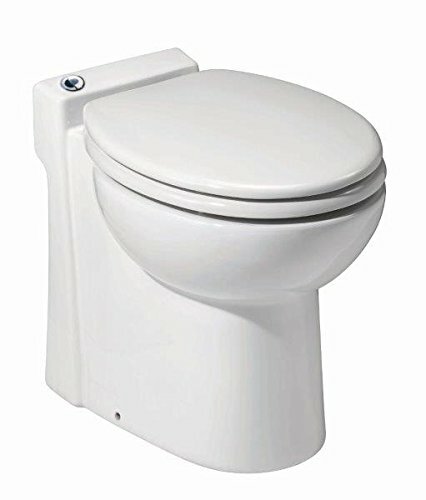 This two-piece toilet comes with the reputation of being a most powerful flushing toilet, accompanied by a 3-inch wide flush valve that gives you a commercial-grade flush without noise. This best flushing toilet comes with Toto’s usual handy features – SanaGloss technology that keeps the bowl clean after each flush, rough-in measuring 12-inch, and around 15 inches of height without the seat. 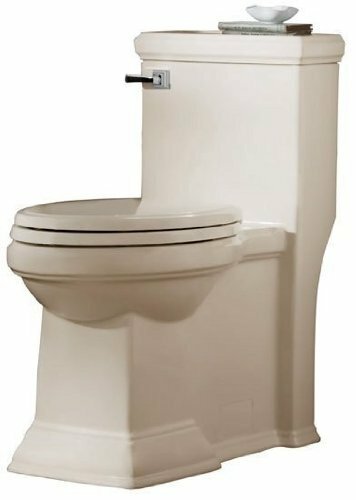 A great looking one piece toilet, the 2034.014.020 Champion-4 Right Height One-Piece Elongated Toilet is a best American Standard toilet that comes with all the right tools. It uses 1.6 gallons of water through its Siphon Jet flushing system to take care of any waste, and hardly gets clogged. This toilet comes with an elongated, ADA compliant design made out of vitreous china. Its patented EverClean technology helps ward off stain and bacteria that cause bad odor. 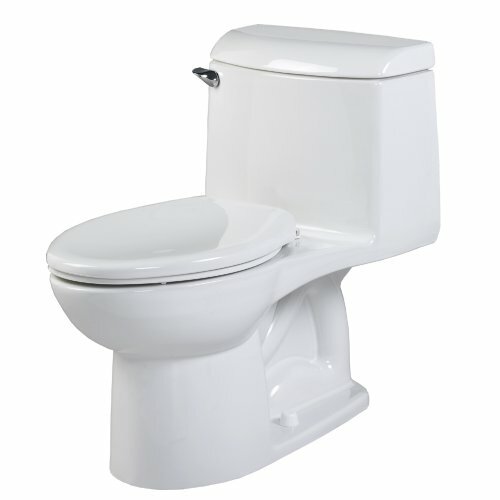 Kohler has a reputation for its elegant, modern design, and its K-3817-0 Memoirs Stately Comfort Height Two-Piece Elongated 1.28 GPF Toilet continues the trend. Part of Kohler’s Memoirs collection, this best flushing toilet perfectly combines aesthetics and efficiency, and is a strongest flushing toilet. 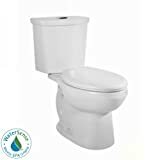 Its highly efficient flush uses a mere 1.28 gallons of water, without compromising any flushing power, making it a most powerful flushing toilet. The bowl is placed at chair height for an adult, making it very convenient to use. If you’re looking for a second, lightweight toilet in your home without much fuss, then the 023 SANICOMPACT 48 One piece Toilet from Saniflo is your top pick. At around 15 inches in height, it allows connection with your sink to dispose of the waste water, thus making life easier. This compact toilet is also pretty water efficient, using only 1 gallon of water per flush. Add to that the chrome hinges on the toilet seat, and you get a handy yet beautiful solution for your bathroom. With a fast flush and glazed bowl, the TOTO MS863113#01 Supreme Round One Piece Toilet is minimalistic, yet efficient toilet for everyday use. 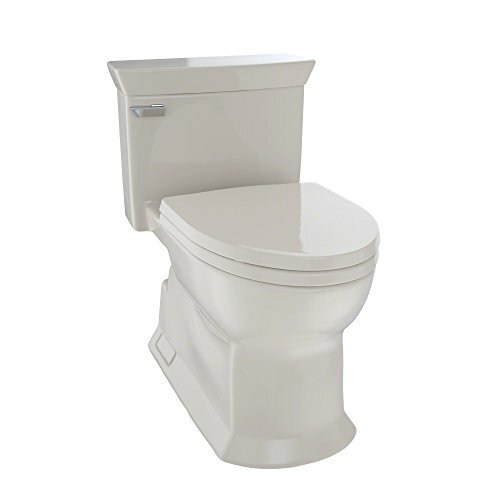 This one piece toilet comes with a wider valve at 3 inches, and uses 1.6 gallons of water per flush. The best thing about this best flushing toilet is that is taken very little space in your bathroom, about 27 inches on the front, while the tank measures at just 24 inches in height. 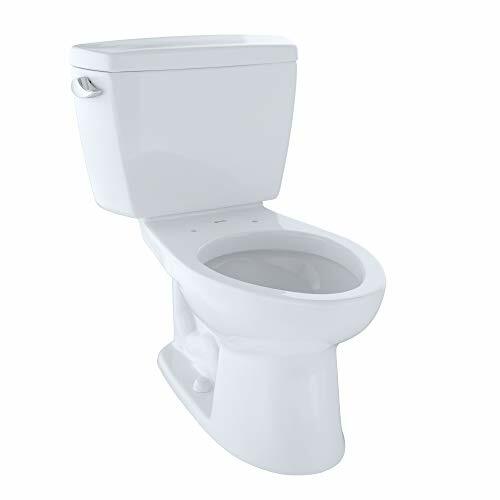 Easy to clean, great design, stylish – the 2847.128.222 Town Square FloWise RH Elongated One Piece Toilet is considered a best American Standard toilet that is hassle-free deal that delivers great results every time. 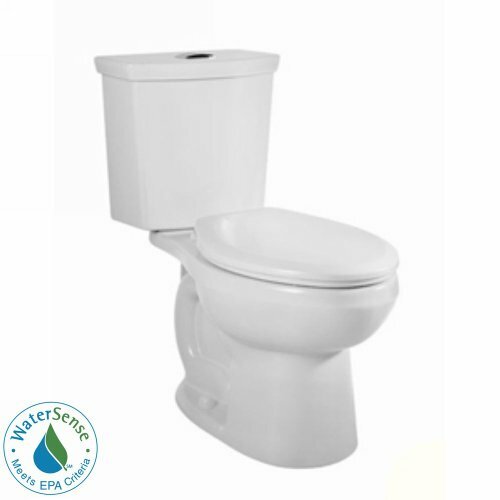 With vitreous china build and gravity flush using 1.28 gallons of water, this toilet is both durable and water-efficient. The seat and cover that come with the product are great pluses too! 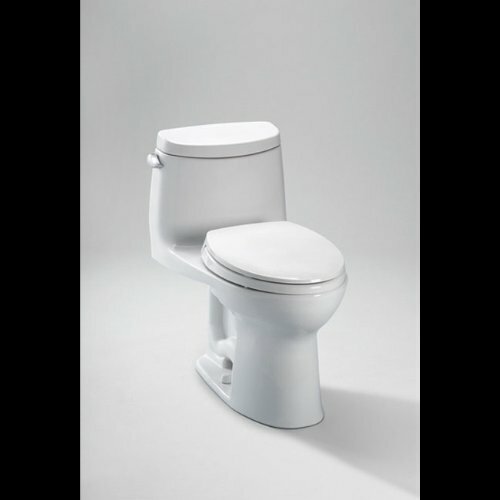 The TOTO MS964214CEFG#03 Eco Soiree Elongated One Piece Toilet comes with a great, solid design for a one piece toilet. Its ADA-compliant height is perfect for both adults and children. Toto’s patented SanaGloss keeps the bowl glazed and clean, accompanies by a strongest flushing toilet system that uses only 1.28 gallons of water. 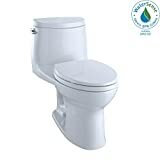 Sometimes labeled the best American Standard toilet, the 2887.216.020 H2Option Siphonic Dual Flush Elongated Two-Piece Toilet is a best flushing toilet with high-efficiency for your bathroom. It comes with a dual flush technology that uses a mere 1.6 gallons of water per flush. The elongated shape is accompanied by a 12-inch rough in. With an elongated design and a modern bulk waste management flushing technique, the Kohler K-3978-0 Wellworth Elongated 1.6 gpf Toilet can be a great addition to your bathroom. It looks stylish, gets the job done, and saves you water. 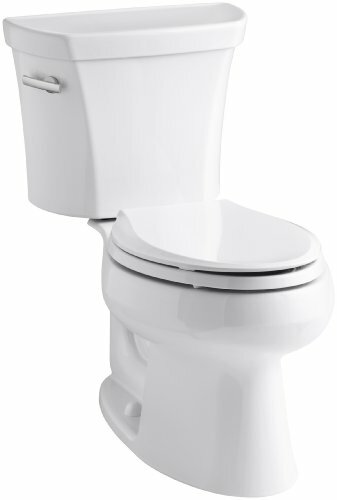 This best flushing toilet uses 1.6 gallons of water and comes with a 12-inch rough-in. Its pre-installed bolts for the tank will save you precious time and effort. As for our recommendation, we love the 2847.128.222 Town Square FloWise RH Elongated One Piece Toilet from American Standard among one-piece models for its ease of cleaning, classy design, and efficient flushing system. For two-piece models, our pick is the KOHLER K-3817-0 Memoirs Stately Comfort Height Two-Piece Elongated 1.28 GPF Toilet for its right height, solid look, and strong flush. It might sound a bit dramatic, but a big part of our peace of mind depends on the reliability and long-term service from our toilet. The best flushing toilet is one appliance that should require the least amount of hassle, and a good toilet should be able to deliver that. Pick one from our list that matches your requirements, and we assure you, you won’t regret it.